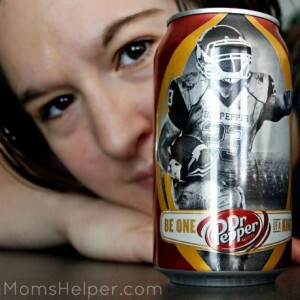 Awww, Dr Pepper – one of the loves of my life! Seriously, even ask my hubby – he fully knows and accepts my daily enjoyment of this drink. Sometimes I do like to ‘mix it up’ a bit, though, and try it either in some tasty recipes for cooking and baking, or twist up the drink a bit for a nice new refreshment. 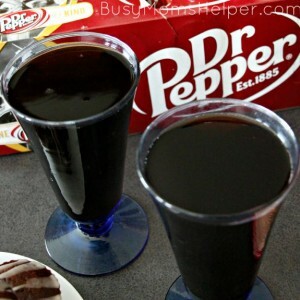 This Creamy Dr Pepper Mocktail is super delish, and can be whipped up in a flash! There’s so many ways to switch this up, but this is the starter version I like best so far! There’s a drink place in my hometown that serves something called a ‘Woot Woot’ (awesome name, right?) and it uses Dr Pepper, with a fun and flavorful twist like this. I love it! When we went to visit this summer I think we went and got one 4-5 times – BIG ones! I love how creamy the flavoring is in this – sounds kind of weird, but yes the flavors mix together so smoothly that I’d call it a CREAMY drink! In the bottom of a LARGE glass, pour the syrup and lemon juice. Pour in the Dr Pepper, followed by the Half & Half. Leave room for ice, if you like. Mix a tiny bit (I don’t worry about it because it mixes when you’re pouring anyway). ENJOY! 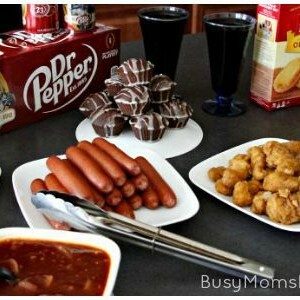 I made this to go along with my football party – all of the recipes were Dr Pepper-themed! The sauces, drinks, even dessert included Dr Pepper in some way. Yumm-o! Everyone knows that I have a major love for Dr Pepper. Probably a little too much, but I’m perfectly happy with that! Other than drinking it, I really enjoy using it in recipes to create bold, new flavors, like with this super moist and delish Dr Pepper Chocolate Pudding Cake! I’m not a huge fan of cake, though, unless it’s really flavorful and gooey tasty. 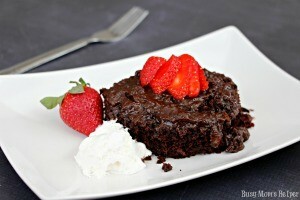 This pudding cake is just that! It’s almost like a cobbler type cake, in that there’s so much chocolaty, pudding-y (yes, I’m making that a word) goodness to it in every bite. Heat oven to 350 Degrees F. Spray or line a 9×13 baking dish, set aside. In a saucepan, heat 1/2 cup cocoa powder, 1/2 cup sugar, 1/2 cup brown sugar and Dr Pepper (I used 20 oz. so about 1 1/2 cans) over medium heat until creamy. Mix the remaining ingredients until well-combined, pour into cake pan. Pour the still-hot pudding mixture from the saucepan evenly over top. Bake for 25-30 minutes. Serve with whipped topping, ice cream, strawberries, whatever you’d like! If you want even more pudding-to-cake ratio, simply double the amount of ingredients you do for the saucepan step! Simple and quick for a fabulous dessert! By now you all know how much I love my slow cooker. It just makes life so much easier, simpler, more wonderful! Another love of mine? Dr Pepper! I absolutely, completely and ever-lastingly LOOOOOVE Dr Pepper soda. 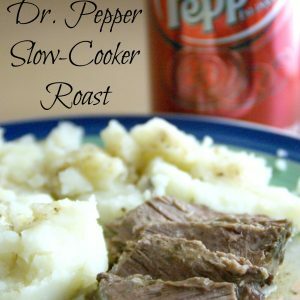 So doing this Dr Pepper Slow Cooker Roast was a HUGE desire of mine. And it did NOT disappoint! 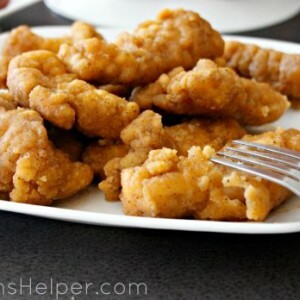 It was so moist, flavorful…..just down right excellent! Put the roast in the slow cooker. Top with all the other ingredients. Spoon juices over top when serving. Enjoy!!! Notes: I used some of the juices from the slow cooker to make gravy (just added some flour), and it turned out fantastic!